The guest commentary below was written by Christopher Whalen. This week The Institutional Risk Analyst is in La Jolla for The Chairman's Conference of The California Mortgage Bankers Association. Click here to download our keynote presentation. Last Friday we got to talk banks with Brian Sullivan on CNBC. We noted that investors need to forget everything they were told in 2018 about rising interest rates. Many investors got killed last year positioning for rate increases in 2019. Hint: When your prime desk coverage is selling the short bond/long rate trade, look the other way before crossing the street. The folks on the Federal Open Market Committee may be clueless on rates, but your friends on the Sell Side are most definitely not. Banks and nonbank financials are being whipsawed by falling market yields. Look for negative marks on mortgage servicing rights (MSRs), TBA exposures, and rate hedge desks in Q1 earnings. But don’t worry, the Sell Side desks did just fine. And behind the scenes, funding costs continue to rise for US banks regardless of the moves in market rates. 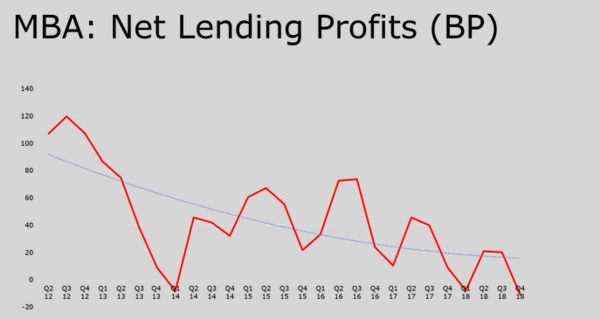 The relentless increase in funding costs will take a bite out of bank earnings as net interest income growth flattens out and even declines. Last month we put out a call on NIM flattening for US banks in 2019. We discuss the dynamics driving up the cost of funds for US banks in the most recent issue of The IRA Bank Book. China, trade, etc is all fun to talk about, but we remain in a sellers market for securities even as market yields decline. Quality issuance is getting snapped up aggressively by global funds and public sector agencies. This impacts financials because the competition between lenders and bond market execution and private equity is intense. They are all fighting over the same pool of assets, a big bucket of duration that has been rendered inadequate by the reckless actions of the Fed and other central banks. Just as the FOMC has been unable to achieve a certain level of inflation, neither can they engineer rising interest rates. 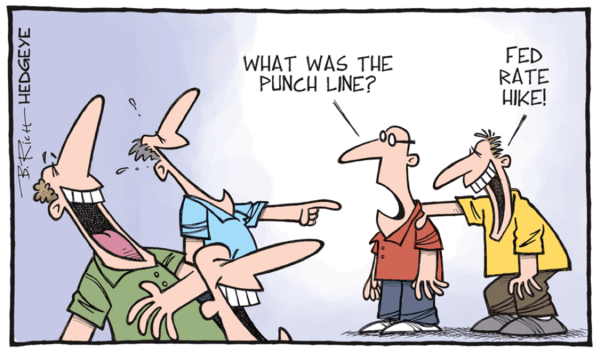 This is one of the unanticipated side effects of "quantitative easing" or QE. Bank loan spreads and bond yields remain biased ON THE DOWNSIDE despite the yada, yada from the FOMC and allied media about rising interest rates. Since December, in fact, the FOMC has been rudely reminded that it only controls the short-end of the Treasury yield curve and then just barely. Steve Moore, Larry Kudlow and POTUS all are right about rates and markets, BTW. The folks on the FOMC ignored market indicators from September onward, ignored the fact that high yield credit spreads were blowing out by T-Day, and almost ran the ship aground in December. 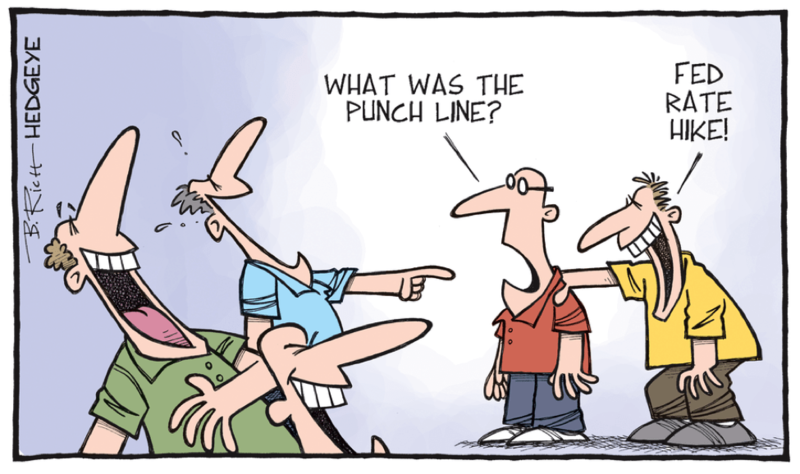 Herman Cain on the FOMC? Yes please. We need more non-economists sitting at the Fed table. Some say the Fed's independence would be hurt by having Cain or Moore on the Fed. But independence from what exactly? Remember December 2018? Our upbeat comment on Wells Fargo & Co (WFC) last week generated a lot of comments, but the reality is that it will take a long time for the basic operational quality inside the bank to see premium valuations. We have all witnessed a huge screw-up by the WFC board, management, and regulators. If Fed/OCC had forced CSUITE changes two years ago, then WFC would be in far better shape today. The moral of the story: regulators need to use the power that they already possess to enforce change at banks with weak internal systems and controls. The Street has negative estimates on revenue and earnings growth for WFC, in part because bank lending volumes across the industry are slowing. As we said last week, WFC balance sheet definitely gets smaller in 2019 if they continue dividend payouts at current levels. The Street has small earnings growth in Q1 for JPMorgan Chase (JPM), then the proverbial hockey stick for full year. Big question for JPM is how December massacre in fixed income and falloff in securities issuance volumes in Q1 will impact capital markets and investment banking results. Can't wait to see the March data on securities issuance from SIFMA. Of course Jamie Dimon will exceed the Street's modest estimates for earnings growth in 2019. Finally, it is notable that mortgage-refinance applications were up 39% last week. An index that measures refi applications hit its highest level since November 2016. The welcome surge in volumes has brightened the outlook for the entire mortgage finance sector. Real question is whether these “green shoots” will give the industry a shot in the arm in terms of both volumes and profits after the worst year in decades. The good news is that 30 year mortgage rates have followed the 10-year Treasury note down a point in yield since last November. The bad news is that home prices have been pushed out of reach for many Americans. The inflation in home prices that occurred during and after the Fed purchase of trillions in government securities and RMBS under QE has permanently raised the price of housing in many parts of the country, preventing millions of young families from purchasing a first home. Former Fed Chair Janet Yellen confesses to be “perplexed” by the dearth of home purchases by young families, but she and the other advocates of inflation on the FOMC are the cause of this malady. Unless and until the FOMC figures out a way to gently let some of the air out of the housing bubble, low rates may not be sufficient to boost annual lending volumes back over $2 trillion annually. And without a significant increase in lending volumes, profitability is likely to be elusive in the mortgage sector -- even with lower interest rates.